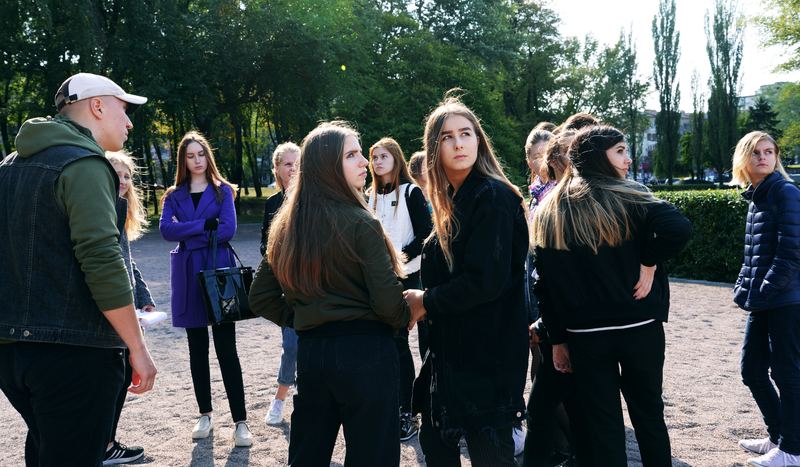 USC Shoah Foundation’s IWalk at the site of the Babi Yar massacre in Ukraine is helping students gain a deeper understanding of the tragedy in commemoration of its 76th anniversary this week. German and SS police units murdered nearly the entire Jewish population of Kiev – 33,771 men, women and children – at the Babi Yar ravine outside the city on September 29 and 30, 1941. About 75,000 more Jews, as well as communists, Roma, and Soviet prisoners of war, were also murdered there over the next few months. Last year, USC Shoah Foundation debuted a new IWalk at Babi Yar and trained local high school students to act as “peer guides,” leading the IWalk for other student groups. 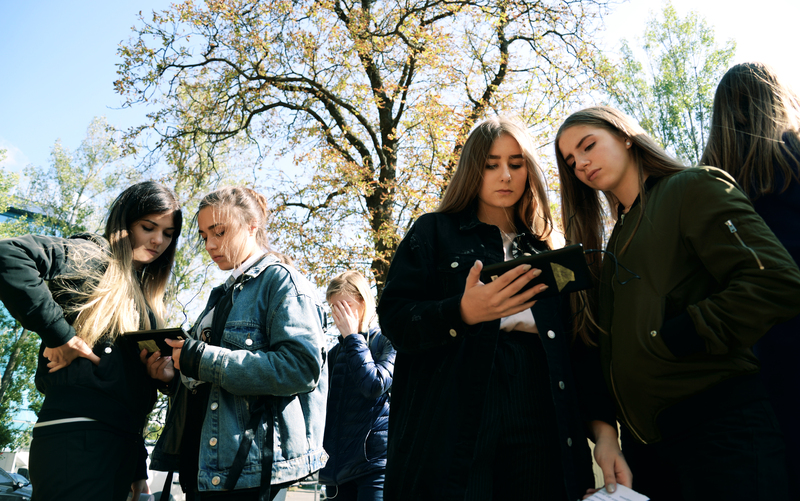 On the IWalk, participants walk through Babi Yar and the Babi Yar memorial, stopping along the way to watch Holocaust survivor testimony clips from the Visual History Archive on tablet devices. The clips cover the history of Babi Yar, pre-war and occupied Kiev, the killings, stories of survival, commemoration and denial. As news has spread of the Babi Yar IWalk, it was in high demand for the commemoration this year. Over the course of the week, USC Shoah Foundation Ukrainian regional consultant Anna Lenchovska and the student guides led 10 IWalks for school groups and have even been interviewed by local radio. For many students who attended the IWalk last year, it was their first time ever visiting the site or learning about the massacre. Some said afterward that they wanted to bring their parents back to see it, or wished that there was a museum with testimony clips at the site. 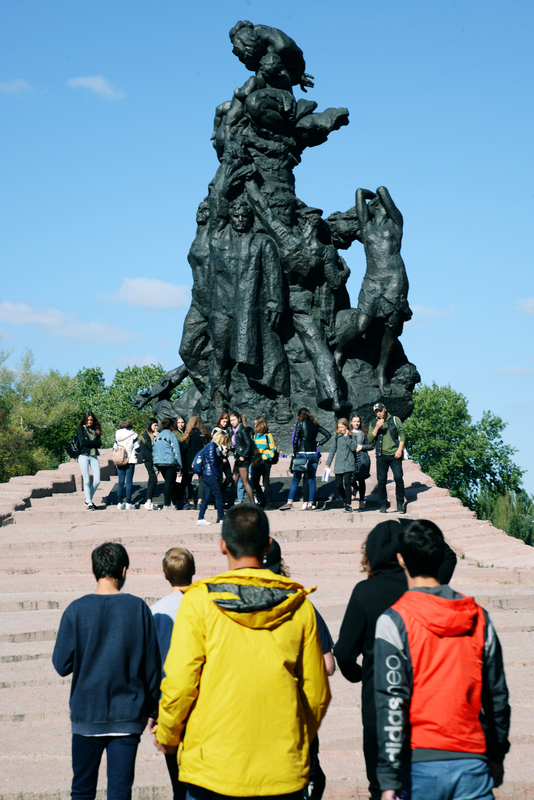 Other students were disappointed by the Soviet-erected memorial that stands at Babi Yar and felt it didn’t accurately convey what happened there. "It is so sad that still in Ukraine we have some memorials that falsify history," said Ilya, age 16.